The idea of Edgetite paver edging spikes came during one project when Jeff Goodman began to wonder how to keep edging tighter to a paver installation. 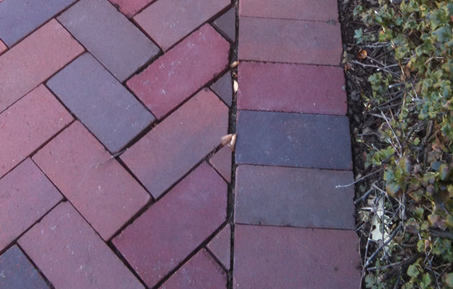 If there was some way to tilt the paver edging spike inward toward the brick field, it would add strength and the static pressure would hold the edging to the brick. And, if the freeze/thaw moved the spike at all, it would just push the edging tighter, helping reduce separation and the need for repairs down the road. What could be better than to help our industry by giving it a product that will truly help our professionals and their customers achieve an overall stronger and more secure installation. Sound great? Buy it now!